László Andor – EU Commissioner for Employment, Social Affairs and Inclusion in the second Barroso Commission confirmed his presence at the Labor Mobilis Gala. During the Gala he will personally receive the Award, which is given for promoting and supporting work and service mobility in the European internal market. László Andor was awarded for “preventing for the free movement of services in Europe being reduced to the single act of posting”. The decision was made by the Competition Jury headed by Professor Jerzy Hausner. Specially designed statuette will be awarded during the Labor Mobilis Gala, to be held on April 23 at the ICE Kraków Congress Centre. The Laureate will personally receive the 2015 Labor Mobilis Award. 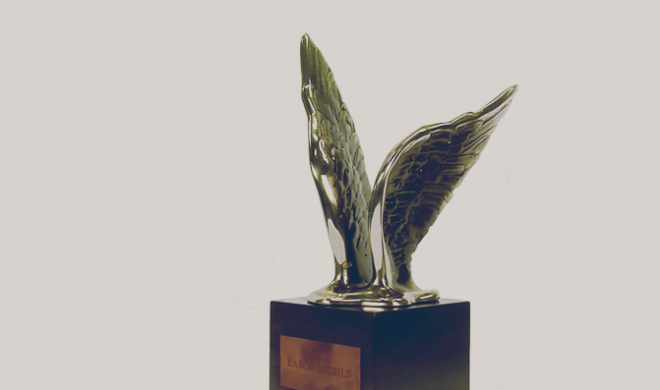 The statuette was awarded twice so far – in 2013 and 2014. The laureates were Radosław Mleczko and Danuta Jazłowiecka. The Gala will feature a concert performance by Motion Trio – accordion trio, which is unique in the world music market. As in previous years, during the banquet the guests will have the opportunity to try the best sushi in Poland and wine served by a professional sommelier. Minister of Labour and Social Policy confirmed his presence at the Congress!